While I was waiting, I registered a Google Apps account for email. Now I want to tell the hosting service to host my site. I will also confirm that I will be using Google Apps for email. 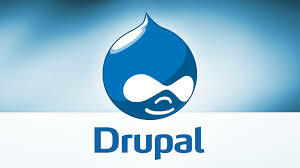 And I will set up a WordPress shell which I will use as the scaffolding for my website. Recall the email address and password used for login and ‘access to the cpanel’. Make sure that the check boxes for [both http//www.domainname.com and http://domainname.com] and Google mail are ticked. Have a good look at everything else [without touching]. Choose full hosting [this may be different for other hosters]. Double check by going back to Manage Domains. Does it seem that the hosters know they are hosting the domain? The reason for loading up WP now is that when you are asked to load it up, you are reminded to have no files in the ‘domain space’. So I want WordPress in place before the link up to Google. Maybe, one day I will experiment with doing it the other way. Chose CUSTOM install despite your sense that you want a SIMPLE install. Enter your username and email as requested. The WordPress shell will contact you via your email and you can complete WordPress stuff later. You’ve loaded up a (CUSTOM) install of WordPress and your hoster has done the few additional tasks such as make your database and install the WP software. 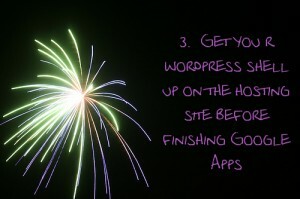 You can fix up your WordPress later. I’ve already mocked up what I want on a local (WAMP) server on my PC (not necessary to complete this step but I have done). I’ve thought up a domain name which I am happy with. And have its nameservers pointing at my hosting service, i.e. so customers who ask the internet for my domain name are set to the computer where my website will sit (be served). First, I must choose a registrar where I buy the domain name and renew it annually. A registrar is a telephone directory or index for internet. There are many and they cleverly cross-reference each other. The best know is GoDaddy.com. Does the Registrar cover the address that I want? A Registrar covers a limited range of TLD or top level domains. For example, a registrar in the US may not cover .co.uk addresses. How easy is it to point the Name Servers that will be listed with my domain name to the computers that will be hosting my website? Have I got clear instructions from both ends – the registrar service and the hosting service (or Posterous or WordPress.com – the place where my website will physically sit)? If I have more than one registrar on my shortlist, is there any difference in their prices and reputation? Do I want to use my hosting service as my registrar or is it better to have ‘two suppliers’? My hosting service might give me a discount on the domain name (a few pounds or dollars) but now they have more power over me (they have my site and my domain name under their administrative control). I may have to buy my domain name elsewhere if they don’t offer my preferred TLD (top level domain – like .co.uk). If I buy (and renew) my domain name with a separate registrar to limit the power of your hosting service over me but then I must remember to my domain name on time and to pointing the name servers listed at the registrar to the IP address of the hosters where my website physically sits. I must enter the data of the registrar at your hoster and your hoster at the Registrar! Adminstratively, I must have two sets of commercial transactions that I must diarize 1-2 years ahead and coordinate. Now I have chosen my name and my registrar, I must buy my domain name. I chose to buy a domain name through my hosters. That means I don’t have an additional task of pointing the name servers to them. If you choose to split the hosting and the registration, you will need other instructions. Find the right page and click whatever button to buy a domain name. The registrar tests whether the name is available. (If they don’t, clear out fast!). When they have confirmed the name is available (a few seconds), they ask for credit card details and an email address. They also suggest that I list my address at their office rather than display my full address on the internet. I don’t know the pros and cons but I chose to list their address because I am tired of spam. When money has changed hands, they promise me an email and tell me to patient. It takes a day or two for the network of domain name servers to gossip among themselves that my domain name isnow taken and that anyone who asks for it should visit my hosters. Finally, a job is not finished ‘until the money is in the bank.’ Print two copies of their email and put one in the expenses file for the accountant and one in the file holding all the details about this website. Type in the new domain name to the browser bar (not Google – the browser bar) and see if it comes up. This one worked quickly but don’t panic for up to three days. PS The name does not show up in Google and should not show up in Google. Their search spiders don’t know the site is there and we don’t want to be found yet. There is nothing to see. Finally, the time has come to redirect my two year old blog with its 740 posts from http://flowingmotion.wordpress.com to http://flowingmotion.jojordan.org. When I imported a copy of the original (see earlier steps), I made sure that I adjusted the permalinks first so the post urls are exactly the same, except for the name of the domain (wordpress.com and jojordan.org). Why do I want to redirect my WordPress.com blog? The problem I need to solve now is this. If someone linked to me on their blog post,, say 18 months ago, a reader would follow their link to the original blog but the last post there would be as of a few days ago. The blog would look deserted and because it has no updates, it will slowly lose page-rank, or google-favour. I can’t ask everyone who has ever linked to me to update their links. That’s not feasible. So how can I bring those visitors to my new blog and keep my standing with Google too? How does the redirect from my WordPress.com blog work? What I can do is to set up a permanent redirect – a 301 for geeks – from http://flowingmotion. wordpress.com to http://flowingmotion.jojordan.org. Then when someone follows an old link, they will be taken through the magic paths of the internet to the WordPress computers, and their computer will redirect the reader to Dreamhost, who will serve up the version of the post on their computers. The reader will barely notice the redirect. They have what they want and they are on an active alive blog where they can interact with humans and leave comments (which link back to their work). I, of course, can update my posts when necessary, provided I leave the title intact. How do I redirect my WordPress.com blog to a self-hosted version? To accomplish this feat, I go through three steps. On my new blog at Dreamhost, I log in to Dreamhost (not my blog), go t0 Manage Domains, and choose the line for my blog which happens to be a sub-domain in this case (http://flowingmotion.jojordan.org). Now I am going to pick Full Hosting and remove it. Scary, huh? I am not going to delete it in the far right column. I am going to remove the hosting in the middle column. This will keep the copy on the Dreamhost intact and I will recover it shortly. Now I am going to chose the DNS for the same record and go to the next window. In the middle, there is provision for a Customized domain. In there I see an A – that is for IP addresses. I don’t need that. But in the dropdown menu is CNAME – I choose that. Now I head off to the WordPress computers and login as usual to my old blog http://flowingmotion.wordpress.com. Under Dashboard, at the bottom of the left hand column, I choose domains, and add the domain name for my new blog which is http://flowingmotion.jojordan.org. Worpress checks that is has access and that by definition I own the new blog. That’s why I had to open it up temporarily. When it sees everything is OK, it tells me to whip out my credit card and page $9.97 and reminds me that I must pay them every year to keep the redirect going. So put this date in my diary! Now I head back to the Dreamhost computers, log in to the “panel” (not to my blog), choose My Domains, find the line with my blog (in my case a sub-domain http://flowingmotion.wordpress). I chose DNS and go and delete the value for the CNAME, which you recall was http://flowingmotion.wordpress.com. Update. I go back to My Domains and chose my blog again and this time stay on that page, go to the middle column and select full hosting. A new window comes up. I check the settings and choose full hosting. Now when I put http://flowingmotion.jojordan.org in my browser, I should bring up my blog. When I put my old http://flowingmotion.wordpress.com in the browser, it should send me at the speed of internet over to Dreamhost and show my blog in the browser. Of course, it didn’t go quite this easy for me. My redirect got in perpetual loop and the advice from Dreamhost, unfortunately, was “Wait. These things take time.” Fortunately, young Nick Cochiarella from Olney nudged me 12 hours later to tell me Dreamhost were wrong and I got back in touch with them to check my settings. This is what happened. Two steps back, before the One Click Install, when I set up the subdomain I had chosen the wrong combination of make http://wwww go to http://. There are three choices and I left it on the default. When I One Click Installed, my wordpress on Dreamhost was set up as http://www.flowingmotion.wordpress.com. When I redirected from WordPress.com, it was to http://flowingmotion.jojordan.org because that was the only choice we have. Once I had corrected the address of my new blog by logging onto the blog (not Dreamhost panel) and taking out the www in the address registered under Dashboard/Settings/General, everything worked fine. I also went back to the Dreamhost panel, Manage Domains, the line with my blog and DNS, and fixed up the redirects there to send any traffic looking for http://www.flowingmotion.jojordan.org to http://flowingmotion.jojordan.org.